Announcement Welcome one and all to Britteny's Boutique where I am crafting heirloom quality treasures for babies, toddlers, and children, one stitch at a time! Come on in and browse around! 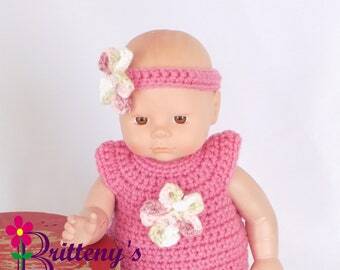 You will find many items from baby sweater sets, stuffed friends, and much more! Custom orders are always welcome! I love to personalize each item just for you. Every item is made and designed by me! They all come from my smoke free, pet and child friendly home! 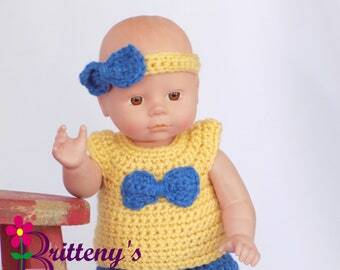 Welcome one and all to Britteny's Boutique where I am crafting heirloom quality treasures for babies, toddlers, and children, one stitch at a time! A new baby blanket set is on the way!!! Working on assembling more security blankets!! Going to have many new ones in the shop very soon! I love how this photo turned out off the newly listed teddy bear security blanket! Crafting heirloom quality treasures for babies, toddlers, and children, one stitch at a time! When I was little, my grandmother made me many hand-crafted items, and I cherish them to this day - so much so that I have begun handing them down to my children. I wanted to do the same for my children, and grandchildren someday. 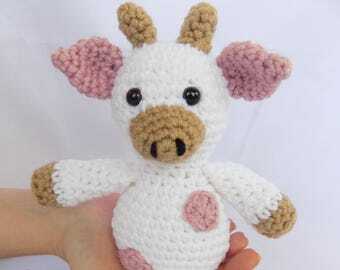 So, when I was pregnant with my first child, I taught myself to crochet - and I haven't stopped hookin' since! Below you will find links to almost all of my social media outlets, as well as my website, and blog! Don't forget to check out all the links below, and please be sure to follow me on your favorite social media site! As always, don't hesitate to contact me directly with any questions!! Hello! I'm Britteny. I am a wife to an amazing husband and a stay at home mom to three beautiful children. I enjoy cooking, baking, painting, and coloring, as well as crochet. I love designing adorable things for babies, toddlers, and children!